This week, a new inductee to the rapidly growing PE wall of fame was awarded to Uri First in Year 11. All students who receive the honour of representing their country in their chosen sport are added to the walls of the PE Department to inspire others towards excellence. Uri represented Great Britain at the European Judo Championships in Sofia Bulgaria. 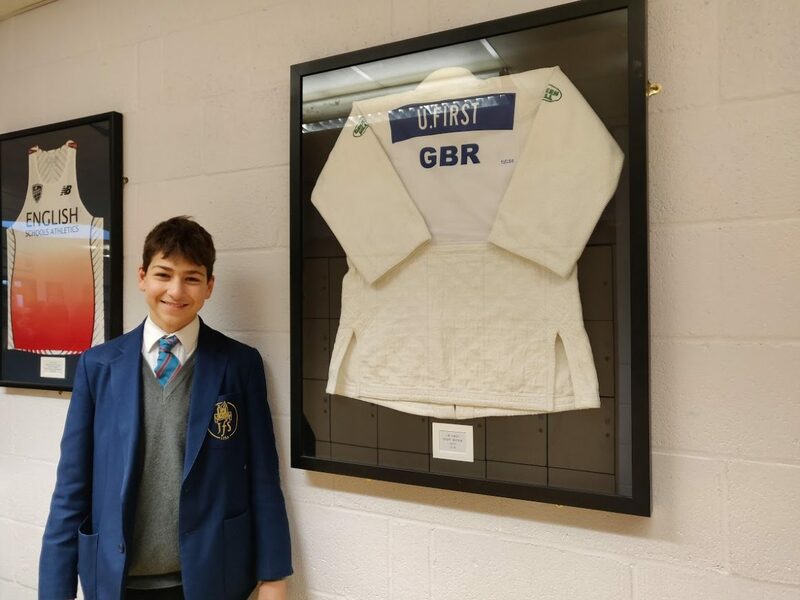 He now joins Dean Furman (Football), Jared Rand (Futsal), Ella Cohen (La Crosse) Shelli Epstein (Acrobatics), Richard Goodman (Athletics), Hannah Freund (Karate) and David Stone (Athletics) on the coveted Wall of Fame.